The United States is asleep. We assume that there is no need to fear that the Russians would ever contemplate, let alone conduct a first strike on the United States. But quietly and steadily, the tension in Eastern Europe is escalating. The possibility for a nuclear conflict – involving more than tactical nukes on the battlefield – has never loomed larger than right now. Why would I say this? Because Russia possesses enormous advantages. And Russia has the motivations to use these weapons. The issues are political, economic, and believe it or not, religious. The issue isn’t really who has the best offensive weapons. The question is who has the best defensive weapons. Those that follow me know that I’ve pointed out that what we used to call ABMs for Anti-ballistic Missiles are now called BDM, for Ballistic Missile Defense. Just a few weeks ago, Russia made alarming allegations about NATO deploying a BDM in Romania, culminating in threats against NATO. NATO’s move was seen as provocative. Russia’s response was provocative too. Despite U.S. claims that the BDM deployed was essential to protect Europe from a rogue Iranian launch of mid-range ballistic missiles, Russia saw the move as a direct threat to Moscow. On the surface, such worries seem ridiculous – to Americans at least. But Russians have a very different assumption about nuclear weapons. We believe using them is unthinkable. The Russians have always believed that their use in inevitable. Thus, their comments and concerns can only mean one of two things: Moscow feels threatened that the U.S. or NATO intends a first-strike against Russia (which they have felt in their bones was likely ever since the Cuban Missile Crisis of 1962), or they are themselves preparing for a surprise attack of their own on targets within NATO and the U.S. The Russians obviously want no BDM in place that could lessen the effectiveness of their attack. They understand that a better defense reduces the likelihood of success in conducting a first strike against the U.S. 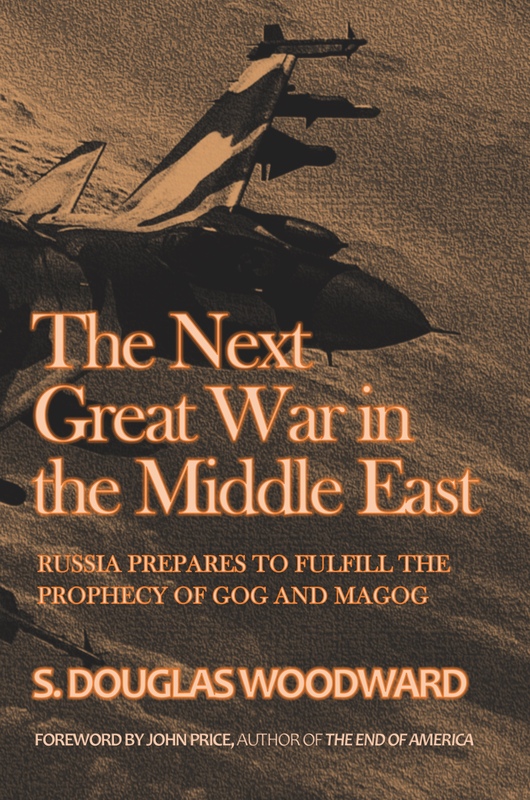 I have asserted in several articles over the past year and in two books published during the past 9 months, that Russia intends to conduct a first strike on the U.S. in the near-term. I base this in part based upon geopolitical assessment, conversations with experts in geopolitics, and my own analysis of Bible prophecy. In two of my three most recent books, IS RUSSIA DESTINED TO DUKE THE U.S.? and THE NEXT GREAT WAR IN THE MIDDLE EAST, I set forth a case for why a nuclear attack stands out now as a real threat. In a separate book for which I wrote the foreword, THE NEXT TACTICS OF GLOBAL WAR, authors Benjamin Baruch and Jeffrey (J.R.) Nyquist, laid out the strategic reasons behind such an attack, including detailed descriptions of the updated Russian nuclear weapons that make Russia a true threat and point out the extreme vulnerability of the United States. Plus, they argue that the downfall of the Soviet Union was itself a false flag. It’s often simply called The Perestroika Deception (from a book written by Soviet defector Anatoli Golitsyn). In essence, the argument is that the fall of the Soviet Union was carried out to cause the U.S. to “let its guard down”. Frankly, that is exactly what has happened. 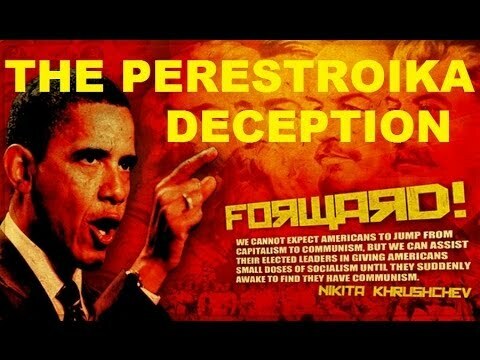 Is the Perestroika Deception for Real? Back to the BDM issue. When one drills down into the issue of how many anti-ballistic missiles the U.S. has at its disposal to knock down Russia ballistic missiles (ICMS for Inter-continental Ballistic Missiles), according to expert J.R. Nyquist, the U.S. has about 5 to 6 dozen deployed in Alaska and California – and a few more in submarines scattered about. In contrast, the Russians may have as many as 11,000 anti-ballistic missiles surrounding their vast country. At best, we are outnumbered in defensive missiles by a mere 100 to 1. If the point is not to start a nuclear war, but to survive one, Russia has 100 times better chance to survive such an attack than does the U.S. This doesn’t count the rumored mammoth underground bunkers within the Russian countryside to protect thousands of their citizens. The U.S. has the capability to protect only a few hundred (perhaps 1,000) persons, reserved for government officials. But as bad as this sounds, things only get worse within the next 2 years. The Russians will deploy the S-500 BDM system. 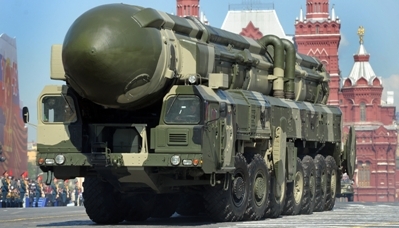 The S-500 (successor obviously to the S-300 sold recently to Iran and the S-400 deployed and used in Syria to protect Russian fighter bombers after Turkey downed one of their aircraft in November 2015), is not just an ABM that employs nuclear technology (such as an EMP detonation) to explode in outer space destroying incoming multiple ICBMs simultaneously from NATO or the U.S.), the missiles fired by the S-500 can also be OFFENSIVE weapons. Once the S-500 is fully deployed, the entire Russian perimeter will be protected by these sophisticated nuclear defensive AND OFFENSIVE weapons. The nuclear arms limitations treaties (e.g., START signed in 2010) don’t count such “dual purpose missiles”. And ABM treaties are no longer in effect. Russia has a free hand to build as many weapons as they want, claiming them to be defensive, but actually creating massive “overkill” in both missiles and warheads. Troops are building up on the border between Russia and Eastern European states. But this is only the top line of extensive and deep challenges facing Germany, the European Union, Russia, and the Ukraine which serves as the baby about to be sawn in half. Angela Merkel, the Chancellor of Germany, is actually quite friendly with Vladimir Putin, President of Russia. The two would prefer to let by-gones be by-gones. Germany has bigger issues to address. Economically, Germany faces a crisis. It’s a major exporter nation with a big trade surplus that creates its own set of monetary issue. [Anyone who drives a BMW or a Mercedes (I once did… but can’t afford one anymore!) knows all about buying a foreign import from Bavaria]. But hard times outside of Germany have dampened the market for such expensive motor cars. Of course, German technological exports go beyond building great cars. They have their own military-industrial complex. Regardless of any particular set of products, Germany must address the challenge to continue stoking the fire of growth from external markets. Meanwhile, Russia is an exporter of minerals – namely oil and gas. Europe needs Russian fossil fuels. Russia needs to sell their oil and gas to Europe. But there are other issues than just economic “marks and rubles”. Germany basically trusts Russia and the feeling seems to be mutual. The problem is that the English and the Americans get in the way. (The French usually go whichever way the wind is blowing strongest). However, the eastern states in Europe, the Baltics in the North and the Balkans in the South aren’t so confident that the Russians can be trusted. The Poles and the Czechs have vivid memories of Russian tanks clamoring into Warsaw and Prague. Estonia, Latvia, and the Lithuania are on edge right now. And the Balkans have no illusion about Russian designs on their territories. Several hundred years of tug-of-war between Russia and “Greater Germany” (the Austro-Hungarian Empire plus the Prussians) have taught them that sovereignty can’t be taken for granted. Until recently, Berlin and Washington largely agreed on how to respond to Russian aggression in Ukraine. Both countries pushed for sanctions and boosting NATO’s defenses, especially in Poland and the Baltic states. At the same time, both were committed to politically and financially supporting Kiev’s Western-oriented government. Therefore, Russia is moving some troops to its western borders to remind the West that Moscow can pose a threat to the region and thus improve its position in negotiations with the U.S. However, Moscow is opting to limit the size of these deployments and remain ambiguous about their status in order to avoid derailing its rapprochement with Germany and prospects for an easing of European sanctions. The outcome of this is a long way from becoming clear. But what is obvious is that there is no conciliation between the competing parties, no “let’s just get along”. Diplomacy has been much less pronounced than saber rattling. If one takes the long-term strategic view, and believes that there are reasons that war between Russia and the U.S./Britain (more specifically the brunt of Moscow’s ire than the E.U in general), it’s not comforting to see more and more troops amassing on the borders between Russia and Europe, nor the talk that is transpiring reaching higher and higher decibel levels. In the next post, I will share some even more startling information regarding the possibility (if not probability) that nuclear war is a likely alternative that Russia no longer just considers but plans at a time of their choosing… and that time for a variety of reasons isn’t very far away. All this week, I will be discounting my two most relevant books to this article, IS RUSSIA DESTINED TO NUKE THE U.S.? for $2.99 (the lowest price Kindle allows) and THE NEXT GREAT WAR IN THE MIDDLE EAST FOR $6.99 (both books can be purchased for $9.98). Why the discount? The topics are crucial and the timing is vital. Please consider downloading copies and read these books now. Additionally, the book mentioned by Baruch and Nyquist, THE NEXT TACTICS OF GLOBAL WAR, is also available in paperback on Amazon. Click this LINK. [ 1 ] See Eryn MacDonald, Union of Concerned Scientists, June 27, 2014, http://allthingsnuclear.org/emacdonald/the-end-of-mirvs-for-u-s-icbms. [ 2 ] Lili Bayer, “Why Russia is Boosting its Defenses on its Western Borders, Reality Check, Geopolitical Futures, June 6, 2016. See https://geopoliticalfutures.com/why-russia-is-boosting-defenses-on-its-western-borders/.